We’ve basically covered all there is about horse betting. From predictions to Kentucky Derby odds. One of the neat things about the Kentucky Derby is all the different headlines associated with the trainers. Many trainers possess humble beginnings. While others are born into the sport with the support of the family. Let’s look at some of the notable trainers who are likely to be running a horse in the Kentucky Derby this year. You can also specifically bet on trainers. How do you not talk about horse racing trainers without mentioning the legendary Bob Baffert. Horses such as American Pharoah and Justify will live on in horse racing history. Baffert looks to continue his tradition of winning the big races at Churchill Downs. A fun fact about Baffert is that is he regularly seen without his sun glasses and that he met his wife at the Kentucky Derby when she was reporting for a local television news channel. This Michigan born, California based horse trainer is the last trainer to have an upset win in the Kentucky Derby. O’Neill was the trainer of I’ll Have Another which won the Derby at 20/1 odds. You’ll also remember that O’Neill was the trainer of Nyquist who won the Derby a few years ago. If O’Neill has a horse or two in the Kentucky Derby this year, his stable is always able to pull off the big win. Before Todd Pletcher won the Derby with Always Dreaming back in 2017, many horse bettors didn’t think that Pletcher had what it takes win the big race. Pletcher was the trainer of Super Saver but many horse racing fans thought that Pletcher could have been a one-hit wonder trainer. After silencing the critics, this two-time Derby winning trainer is looking secure another Kentucky Derby championship at Churchill Downs. 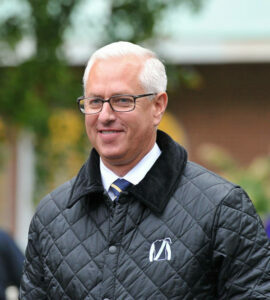 Can Pletcher once again train a horse to win the most important prize in thoroughbred racing?